Well, there may currently be blue skies over Sussex but last year on the BHEAA Presidents Cup Charity Golf Day the weather was nothing short of horrendous. Waterproofs all round, however, that did not dampen our spirits and the day was a tremendous success. Thanks in no small part to West Hove Golf Club who were the most spectacular hosts. Which is why we are so happy to be back there again for this year. Though if they could book some blue skies and sunshine for us, we would be very grateful! The event as ever is both competitive and inclusive of all abilities from the seasoned golfer to the novice so there is an individual cup up for grabs as well as the team competition. There are charity holes too and awards for the longest drive and the nearest to the pin. With fantastic prizes up for grabs such as golf days, champagne, golf equipment and much more it is worth your best shot! Before we tee off there will be a welcoming tea or coffee to get us warmed up followed by a shotgun start at 10.30. 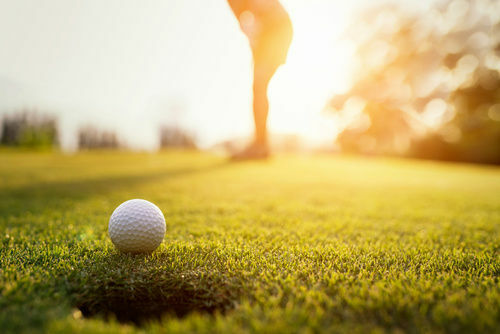 The day doesn’t start and end with golf though as after the 18th hole you will be greeted by the wonderful team at the West Hove Golf Club restaurant for a fabulous 2-course meal. Due to the generosity of our hosts, we can offer this fantastic day at the same price as we did last year. The whole day only costs £240 for a team of four or £60 per person and if you would like to play but don’t have a full team then please let us know and we will match you up with a lovely team for a fun-filled day. The day is not just about the golf and the prizes as every penny that we raise will be going to our chosen charity and this year we will be supporting MIND. Mental health is an issue that sadly affects us all in one way or another at some point in our lifetime and we here at BHEAA are very proud to be able to help raise money and awareness in any way we can. In that spirit, this day is open to everyone and anyone so please share with all your friends and family. There are a number of teams already booked in for this golfing bonanza from Oakley Property, of course, to Mishon Mackay, Littletums Catering, Number One Mortgages and many more but there are still places available so if you would like to reserve your spot please call David Beaken on 01273 487 444 or via email at david@oakleyproperty.com. Sadly, we can’t promise those blue skies and sunshine, but we can confidently say that whatever the weather it will be a great day raising money and awareness for a really great charity.